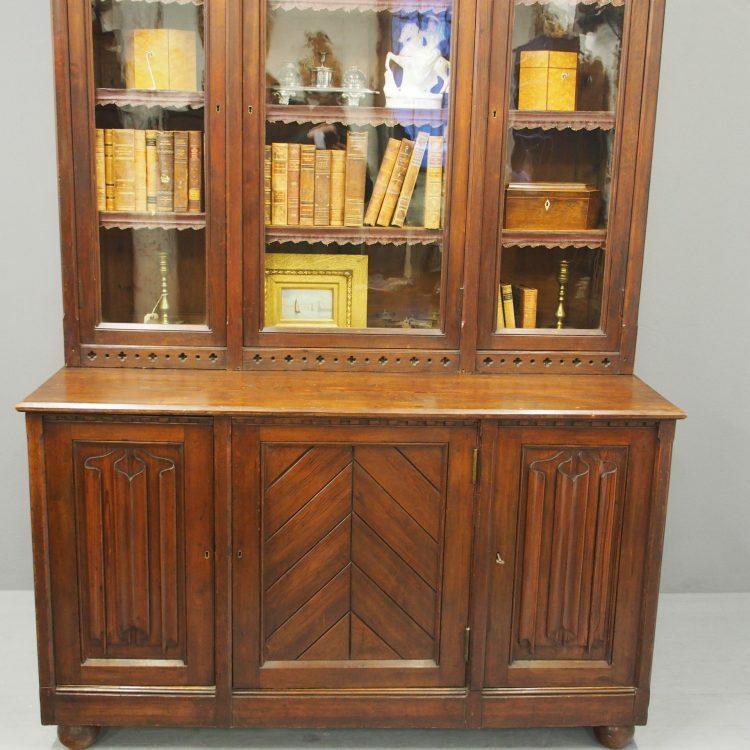 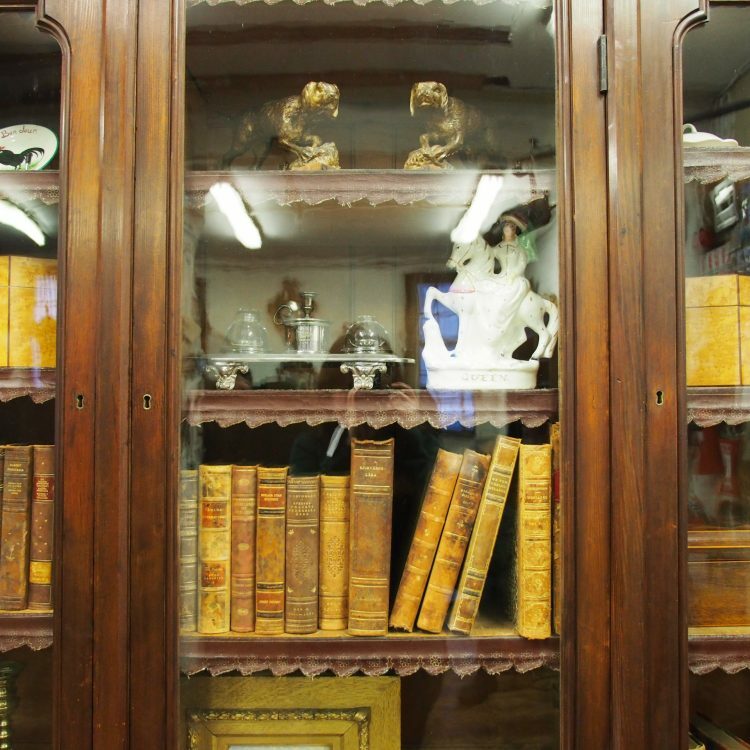 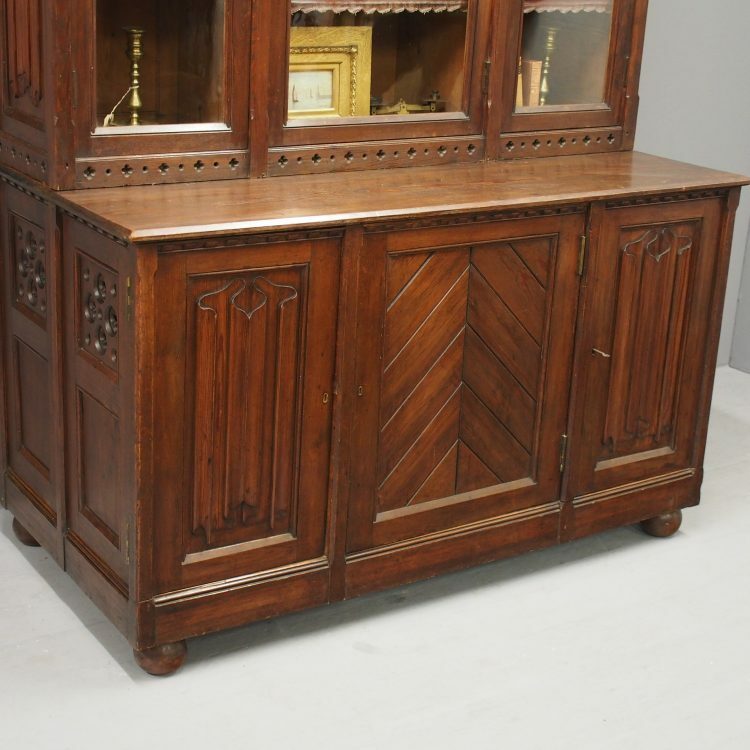 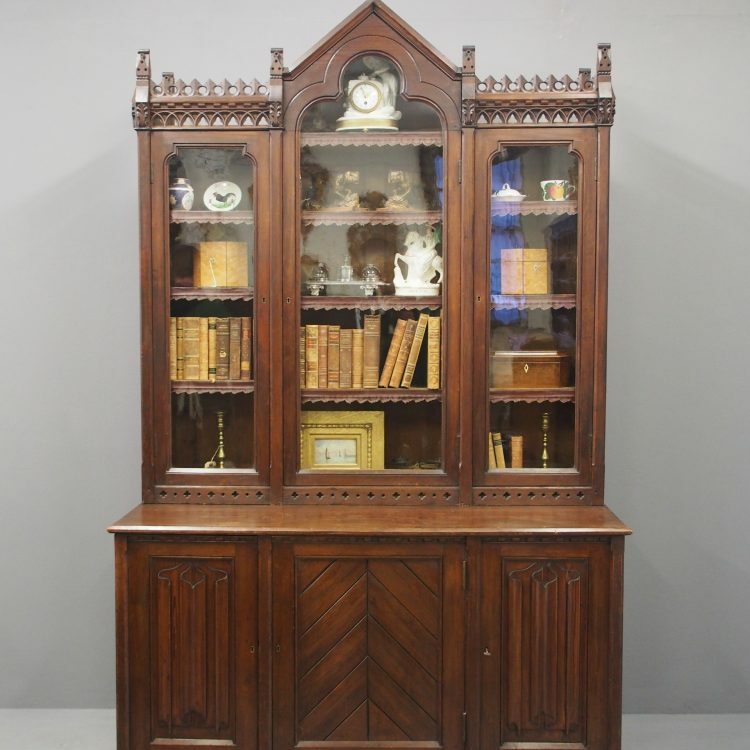 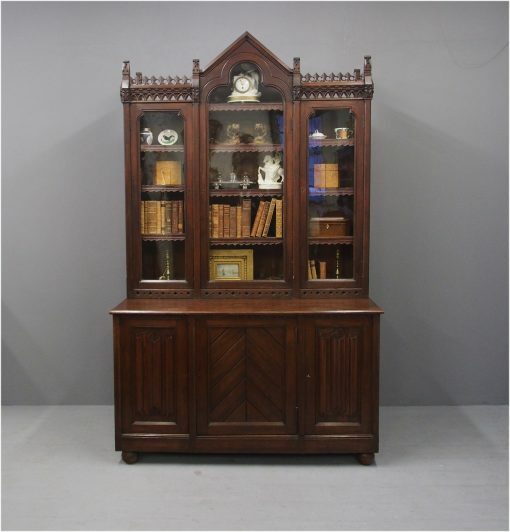 Circa 1860, Scottish pitch pine cabinet bookcase. 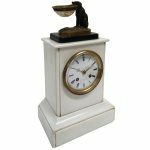 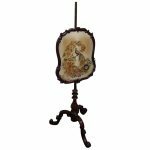 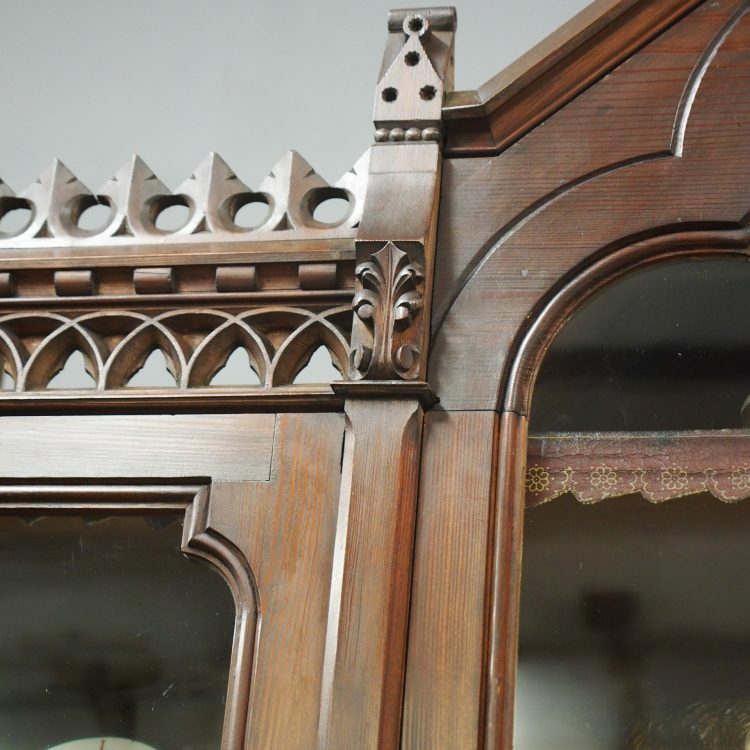 It has a Gothic decorated carved and open pierced cornice to the front and sides, with 6 carved finials, and is above the 3 glazed doors. 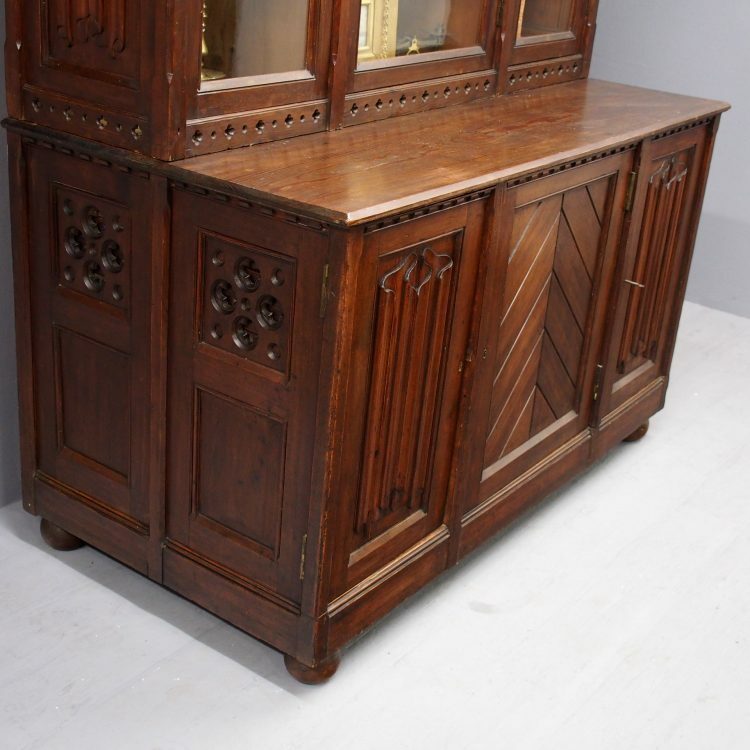 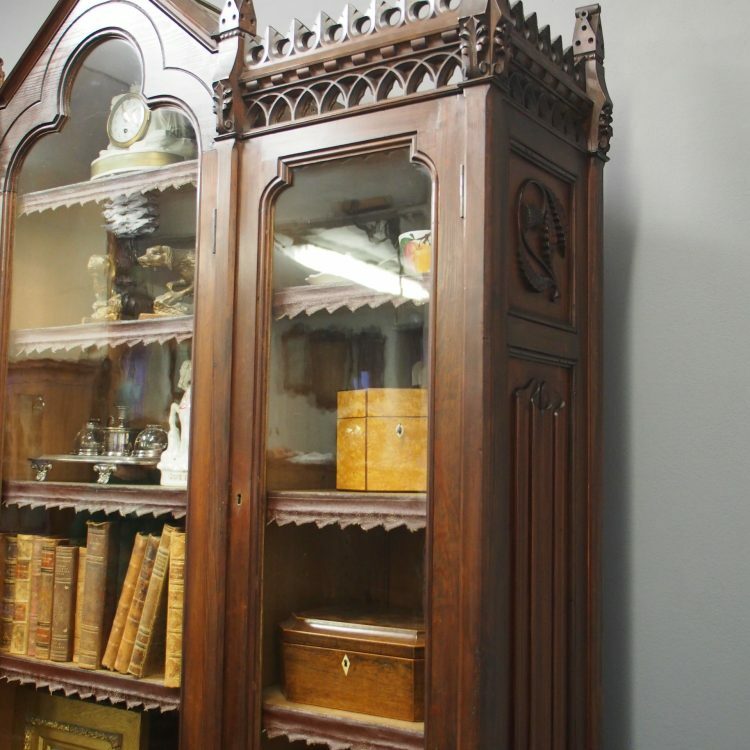 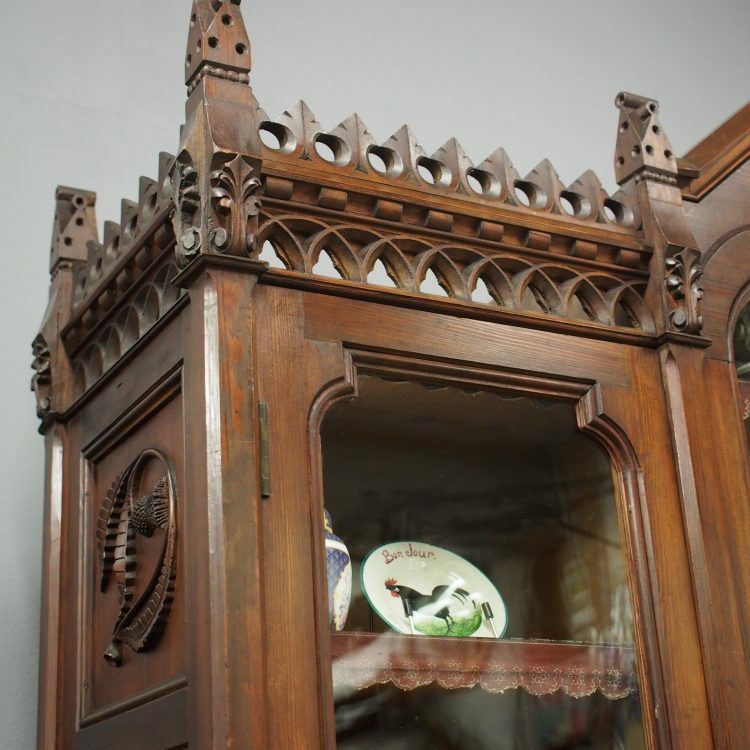 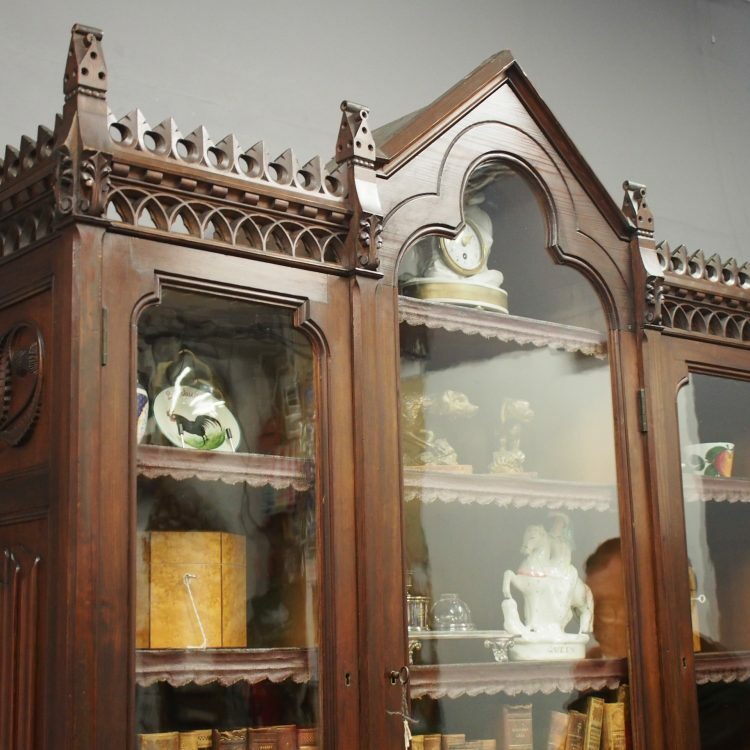 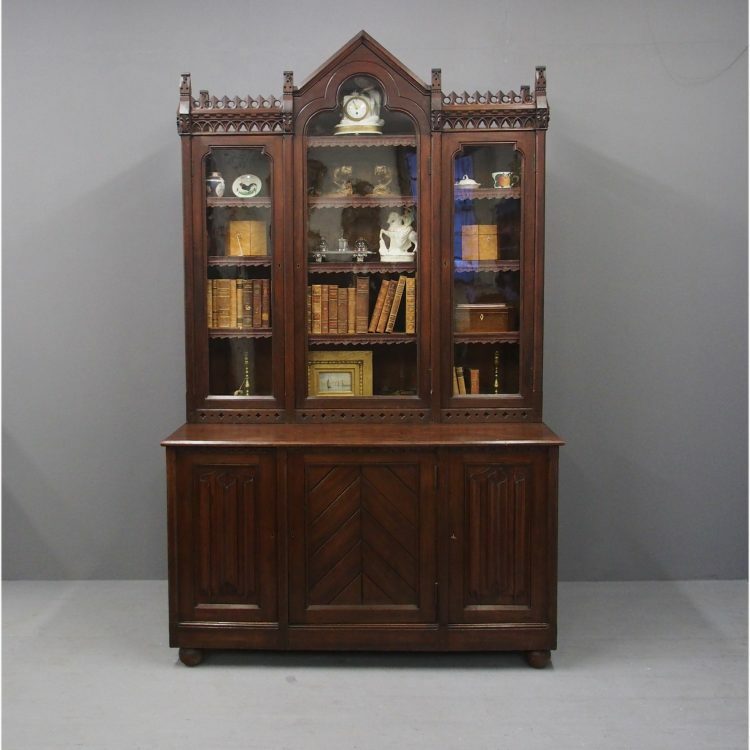 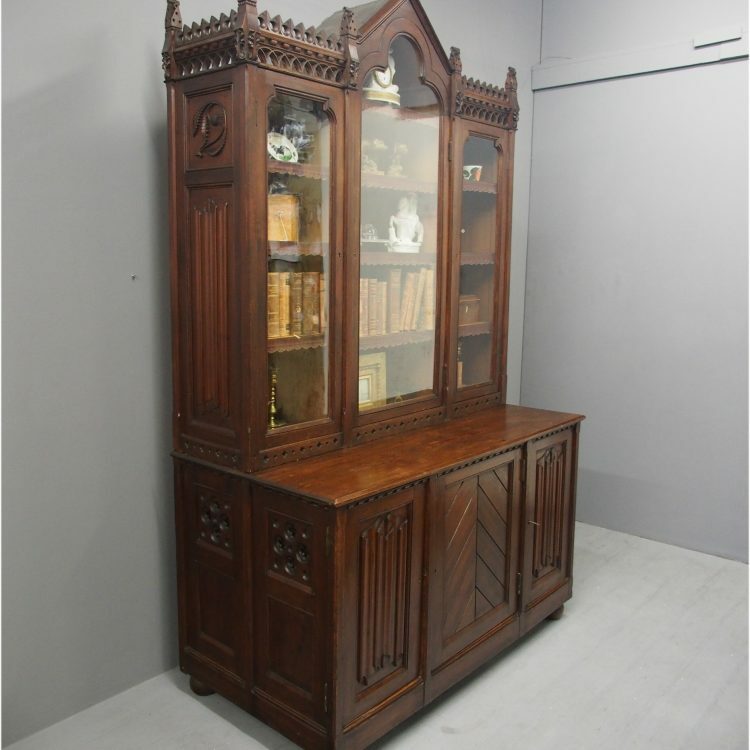 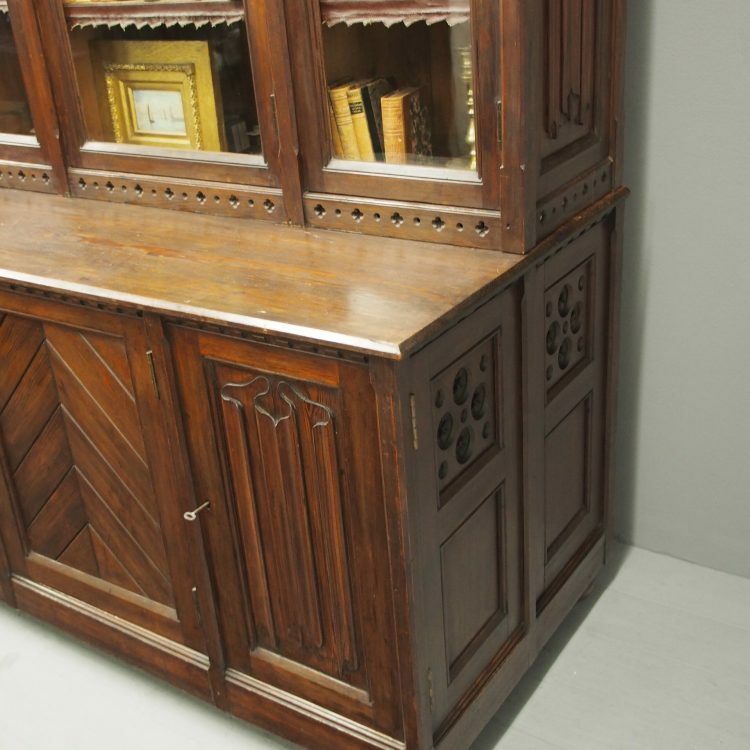 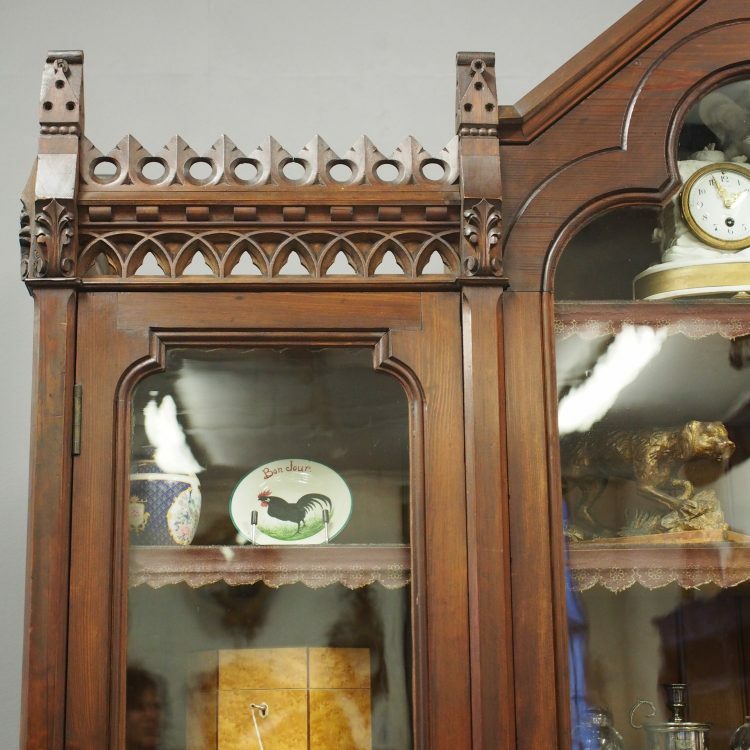 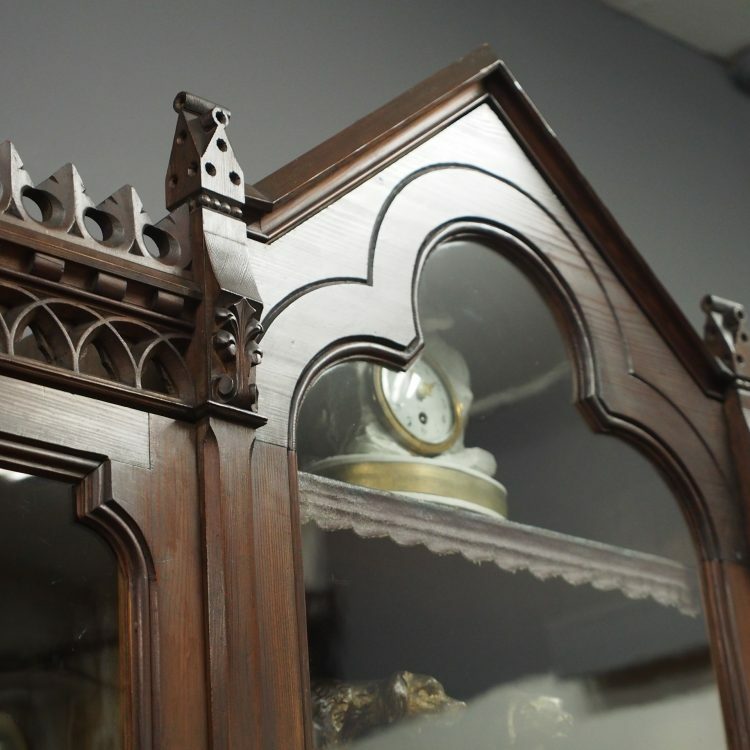 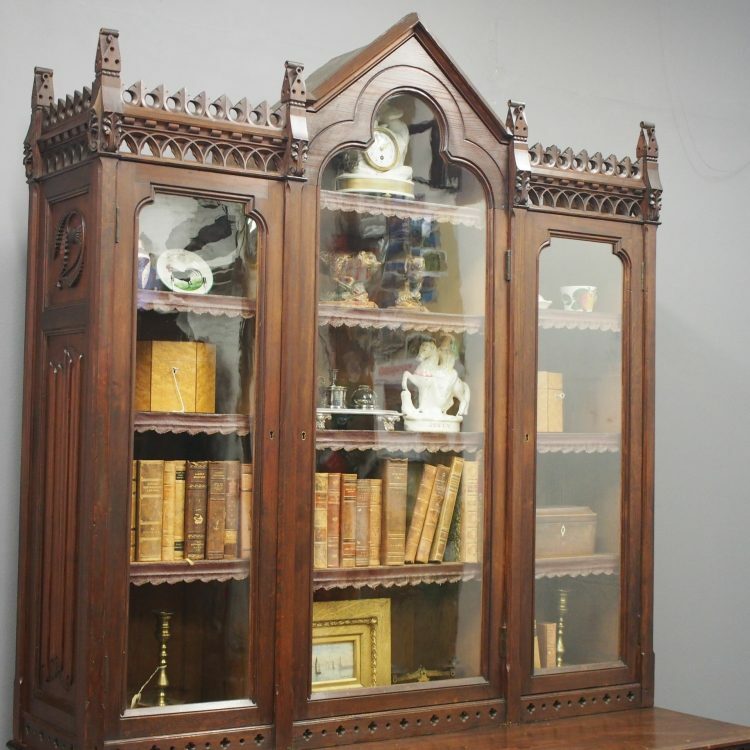 It has a central Gothic style arched door and inside each of the 3 sections are a series of adjustable shelves. 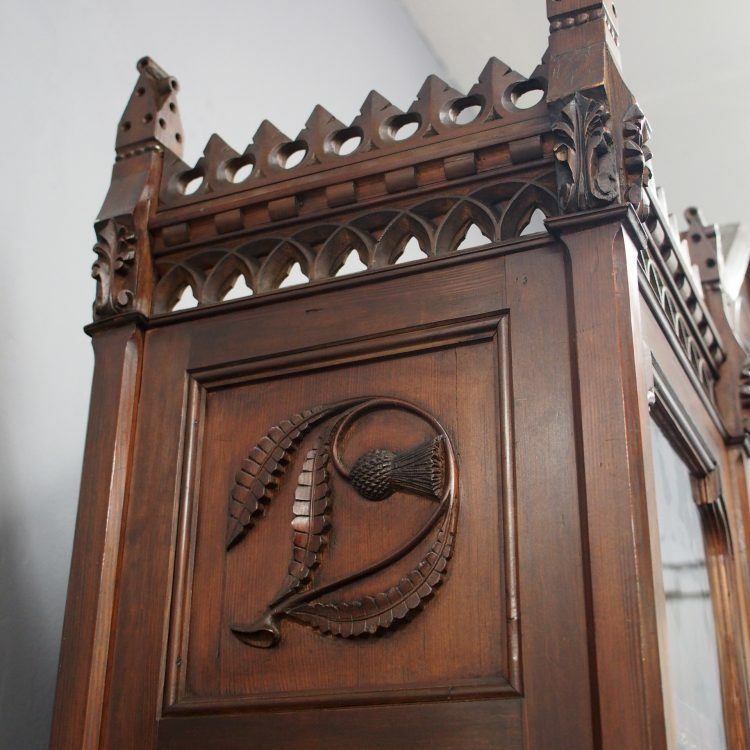 The Gothic piercing continues underneath this, and the gables have carved thistles and linen fold carved designs. 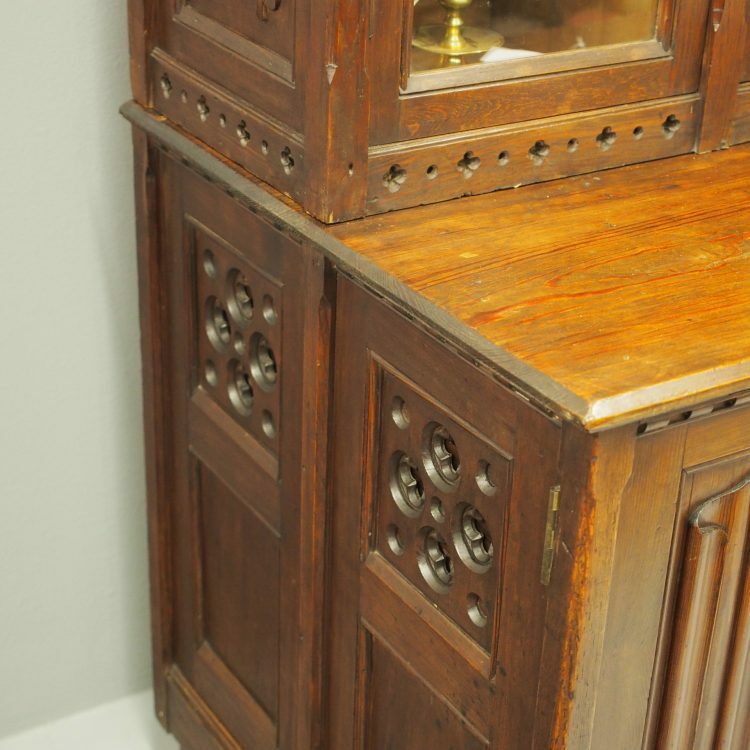 The base has 3 doors with a linen fold pattern, and the central door has a herringbone pattern in pitch pine. 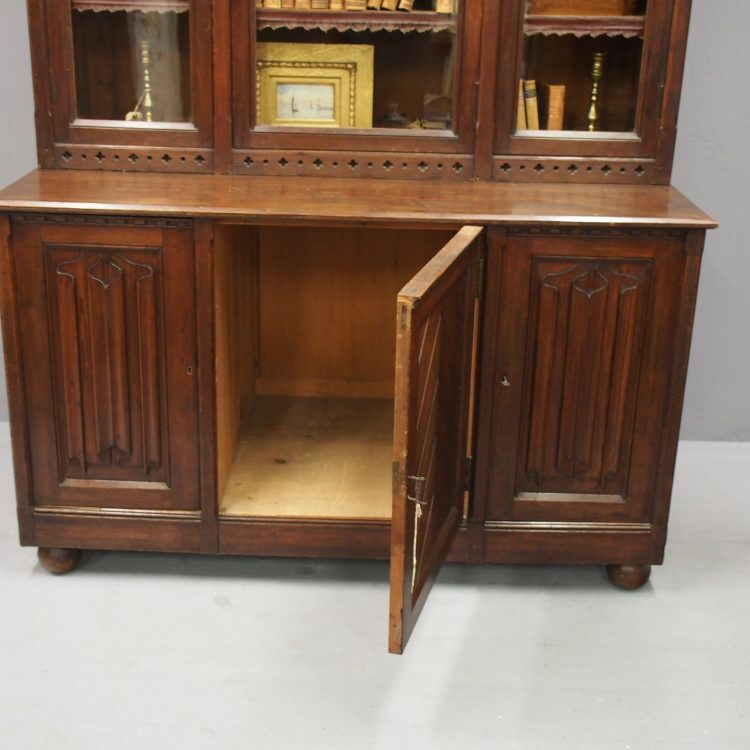 Inside the base is uninterrupted cupboard space to the centre and either side are military style drawers.